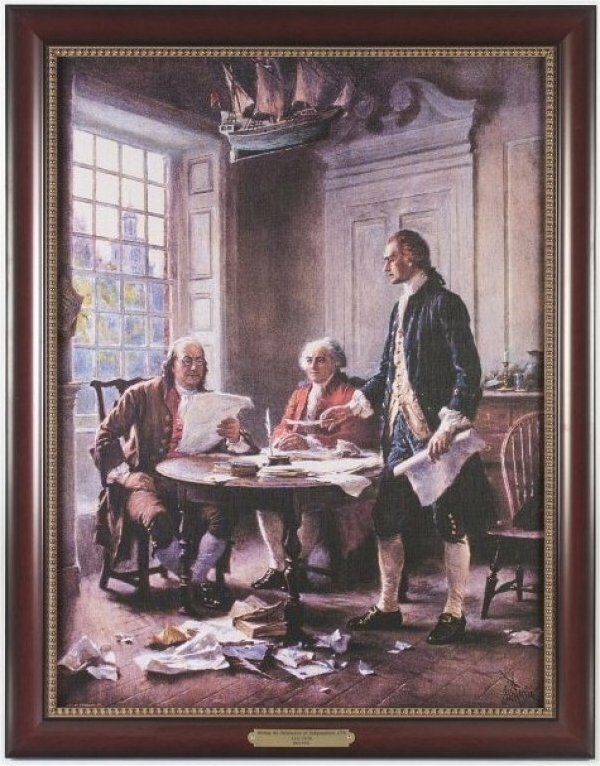 Executive Gallery painting of the Writing of the Declaration of Independence, 1776 by J.L.G. Ferris, 1863-1930 (21X28 image with ultraviolet protective canvas seal or ultraviolet protective plexi-glass that aids in easy maintenance and preservation; 25X32 finished). Framed in rich, two-inch, mahogany scoop frame with bronze bead and brass nameplate.